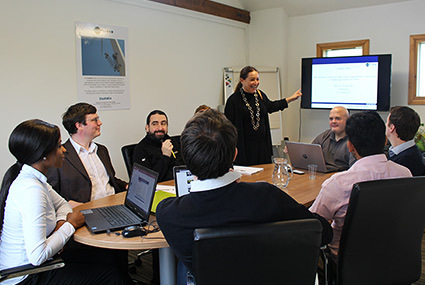 At InnoTecUK Consultancy, we adopt a practical ‘learning-through-doing’ emphasis, involving team working and feedback sessions with an after-care supporting service. Technical innovation coaching can also be built into the training programmes with face-to-face and/or bilateral meetings, at no additional cost. We offer different categories covering all programmes, themes, topics and funding schemes of the two major existing R&I funding programmes, Horizon 2020 and Innovate UK grants, within their co-funding mechanisms. If you are an organisation working from a variety of academic and industrial sectors (Healthcare, Oil and gas, IT services, automotive, aerospace, pharmaceutical, construction, engineering, transport, others), or an individual (a complete beginner and/or an experienced proposer, an early or experienced researcher, a project manager or CEO) with a great interest in getting more knowledge on EU and national R&I funding programmes, please contact us to speak with one of our experts and get free advice on the training options that might best suit you!